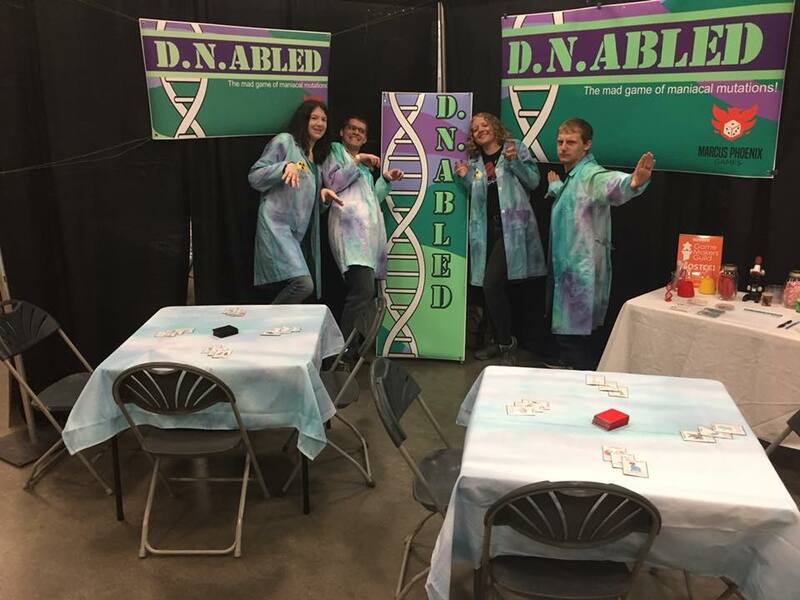 D.N.Abled at Boston Festival of Indie Games "Best Game in Progress"
I had the pleasure this weekend of showcasing D.N.Abled at the Boston Festival of Indie Games. For those who don’t know the Boston Festival of Indie Games (or Boston FIG, or BFIG, or ‘that super cool convention in Boston’) is an indie games convention hosted each year specifically designed to highlight both digital and tabletop games from indie game developers. It’s a fantastic way for new designers to show off their game and get it in front of a huge crowd! That’s me there in the bright orange shirt and tie-dyed lab coat! But I wasn’t the only one… I had a whole team of mad scientists helping me out. Left to Right: Sarah (my girlfriend), Marcus (me), Sonja (my sister), and Micah (my brother-in-law). A million thank yous to them for their help! We all posed with our favorite mutation from the game; Which in this case was T-Rex arms, T-Rex arms, T-Rex arms, and …crab claws? There’s no accounting for taste sometimes. Once the convention started, we had a non-stop flow of people stop by and get mutated in all sorts of wacky ways! It was an incredible and somewhat surreal experience to have so many people play and enjoy my game. Though I missed achieving ‘Audience Favorite’ by just 3 votes (shout out to Slap Down for their well earned first place), I got one last surprise at ‘The Figgies’ award ceremony after the show. 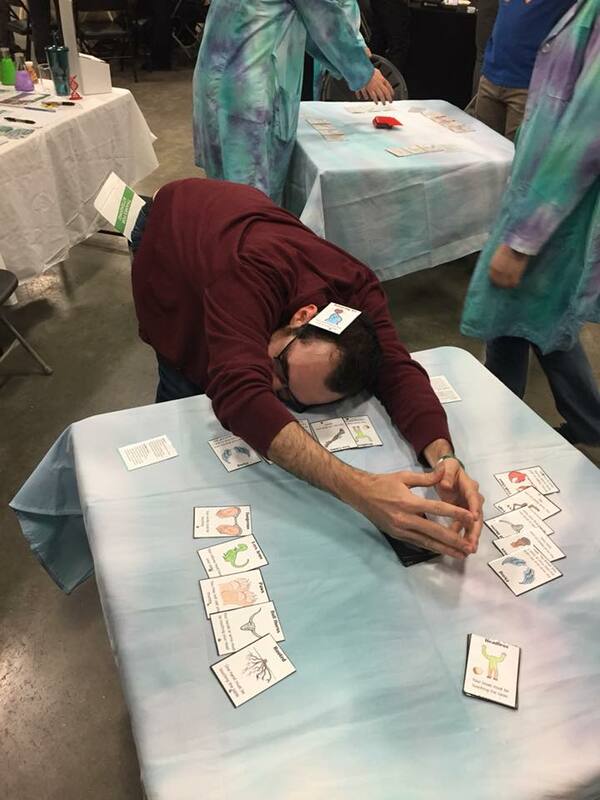 I can’t thank everyone enough who helped me get to BFIG, to everyone who made the festival possible, and of course everyone who played D.N.Abled!